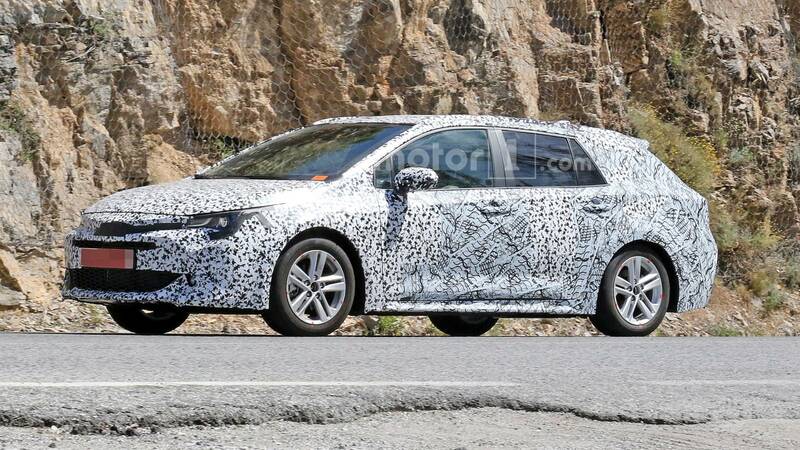 Toyota started test of the new Toyota Auris Touring Sports 'wagon'. On the eve of the network were spy images of the car, which was tested on the roads of Europe. The brand new Auris Touring Sports is based on the TNGA, a type of hatch Auris. There are a lot of similar moments between the two cars. Especially it traces the design of the "front end" of the station 'wagon'. Such Auris is tested in extremely dense camouflage, because of what now it is impossible to speak about something concrete. Theoretically, the machine is preparing capital changes, if compared with the current model variants. This station wagon will have the same hybrid recharging unit, as in the hatch, shown at the last motor show in Geneva. The basis of the first power unit is the 1.8-liter gasoline atmospheric engine for 122 "horses", where there is also a second unit, including the newest 2.0-liter engine for 180 horsepower. Officially, the debut of the novelty in the body of the station wagon will take place at the end of 2018.